American IndyCar driver Alexander Rossi stunned IRR and the rest of the racing world Sunday. The Californian – who we predicted would do well – won the most significant race in history after running out of gas, coasting for nearly the entire final lap. When asked on television, the twenty four year old rookie classily mentioned it being “a huge honor and privilege” to have won the 100th. A.J. Goes Under the Knife: Four time Indianapolis 500 winner and racing legend A.J. Foyt underwent successful triple bypass surgery Wednesday in Houston, Texas. The seventy nine year old has been recovering at Baylor Saint Luke’s Medical Center and likely causing the doctors, nurses and staff a Texas-sized amount of grief. A.J. had suffered chest pains recently and already had stents inserted into his arteries a few years ago, according to his team’s website. 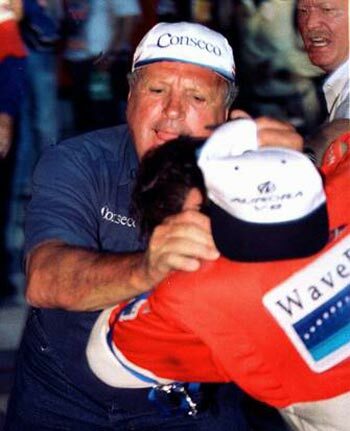 Foyt’s survived numerous brushes with death in his nearly eight decades, including multiple racing accidents during his storied career, many surgeries, a staph infection, a bulldozer rollover and even a killer bee attack on his ranch. Now it’s his ticker. 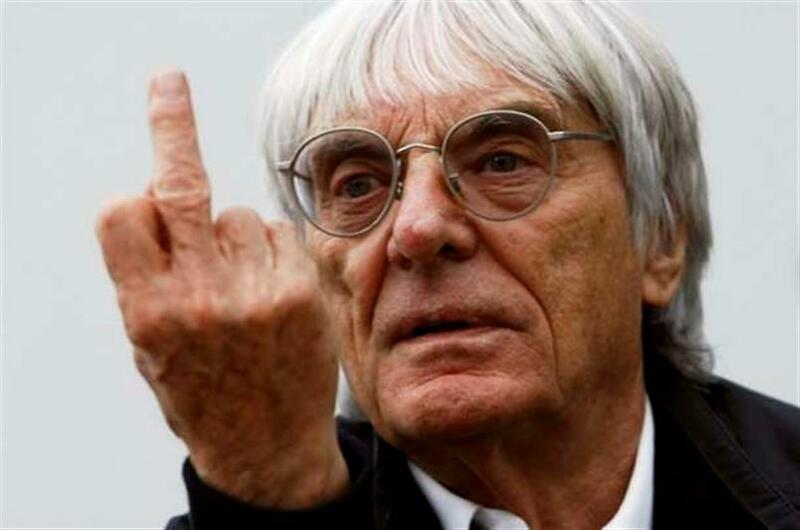 We wish the feisty near octogenarian a speedy recovery, as May at Indy wouldn’t be the same without him. Silly Season News: See possible, potential, rumored return of a foxy former series driver below. Brazilian Bikini Botch? : Warning flags regarding holding a race in Brazil have been raised on this site before and with good reason. Brazil is a third world country with numerous problems, far beyond attempting to host international soccer matches and races. 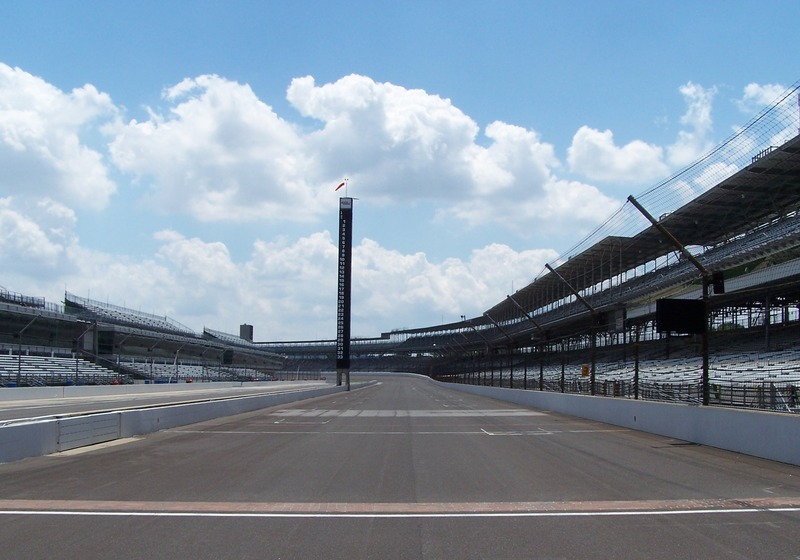 Coming as no surprise to our readers, there appears to be a snag in the renovations of the circuit IndyCar plans to run the season opener at in March. Meanwhile, perfectly fine ovals in the United States go unused by the series. Mark “mini” Miles, are you reading? F1’s Broker & Loonier Than Ever: As we noted in “Czar Bernie’s Against New Ideas and Reforms,” F1’s Bernie Ecclestone opposes new ideas and reforms, just like the imperious Czars of old. This week he royally rejected one team’s innovative approach to funding shortfalls in his ludicrously over-priced series “no one can afford” according to the Telegraph. Caterham, facing bankruptcy and unable to field cars in the last few races, turned to web based crowd funding to make ends meet and rather impressively raised over half a million dollars so far. Czar Bernie thinks this way too radical and doesn’t give his official seal of approval, sneeringly referring to the effort as “a begging bowls” approach. 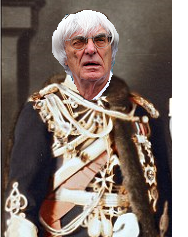 Perhaps Bernie could open up his own royal coffers and be generous with his billions for the good of F1 as we near the holiday season. Nah – never happen. Swiss Miss Back At IMS? : Speaking of IndyCar’s foreign sister series featuring even funnier accents, F1 wash out and former IndyCar pilot Simona de Silvestro’s back in the headlines albeit through a second hand source. Crazy ol’ Curt Cavin reports that IndyCar honcho Derrick Walker says Simona’s desirous of a return to the series. The twenty six year old speedy siren supposedly said at the U.S. Grand Prix that it was a mistake to leave IndyCar and chase F1. 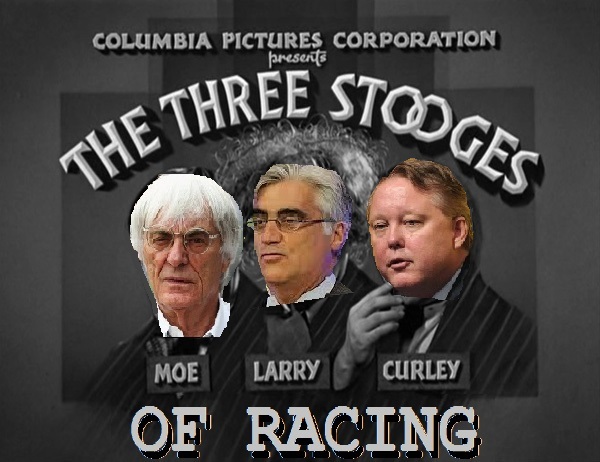 Since she never started a race in Czar Bernie’s glamorous, overpriced series we’d have to agree. Heck, we’re so welcoming of Sim’s return to the States we’d even let the fast, foxy fraulein bunk with us. NASCAR Runs Amok: No additional riots, fights or domestic assaults have taken place down south in NASCAR-ville, at least in the last couple of days. This subject already has been covered here lately more than we’d like to admit in “NASCAR: ‘A Clockwork Orange’ Series.” Here’s an idea – maybe King France could schedule a race in or near Ferguson, Missouri, the St. Louis suburb plagued by recent NASCAR-esque violence and mayhem of its own. We’re certain that hell hole of a track Gateway Speedway nearby is available. They could invite the rioters to a post-race mixer in the infield with Busch and the boys. Imagine the ratings that smack down would generate for NASCAR. And the revenues. Formula One Czar Bernie Ecclestone recently dumped all over an innovative 21st century approach to paying the bills for his ridiculously exorbitant series. One can imagine the billionaire’s version of Marie Antoinette’s apocryphal utterance, perhaps saying “Let them eat caviar.” Facing bankruptcy and already missing races, F1 team Caterham has resorted to crowd funding for raising sponsorship euros. According to USA Today, they’ve already raised over half a million dollars through their web based efforts.